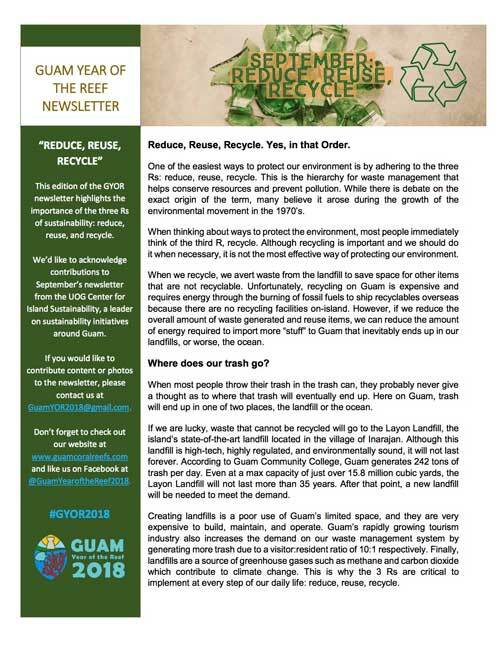 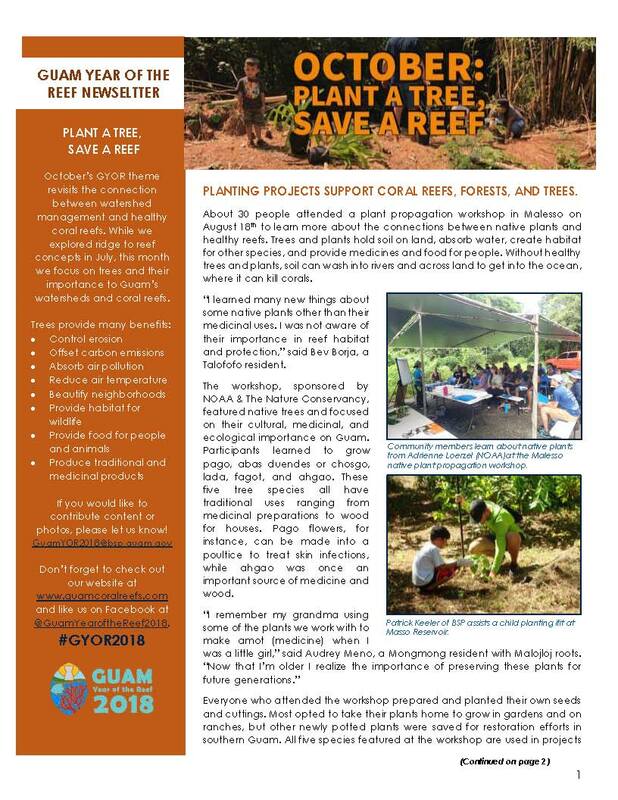 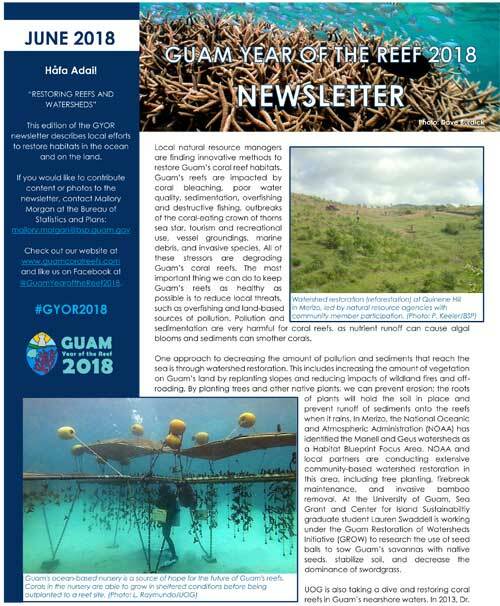 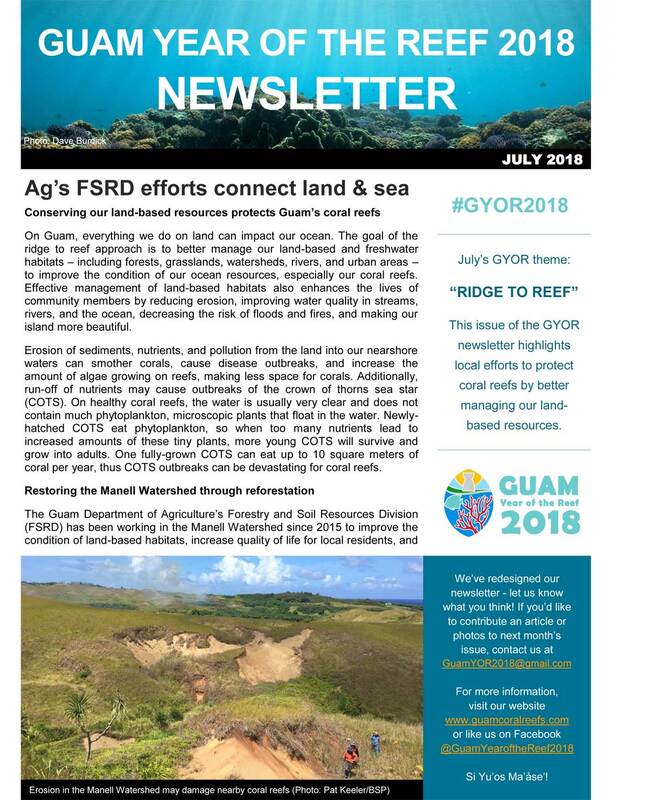 Guam Year of the Reef 2018 (GYOR) launched February 2, 2018, with a proclamation signing by Guam’s Lieutenant Governor Ray Tenorio. 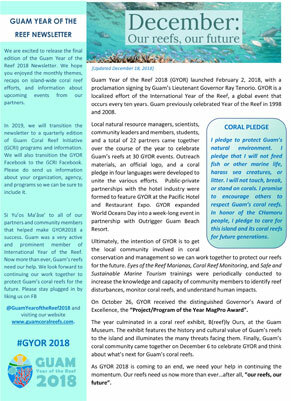 GYOR is a localized effort of the International Year of the Reef, a global event that occurs every ten years. 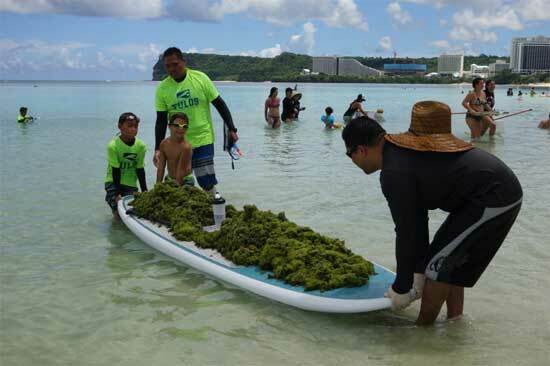 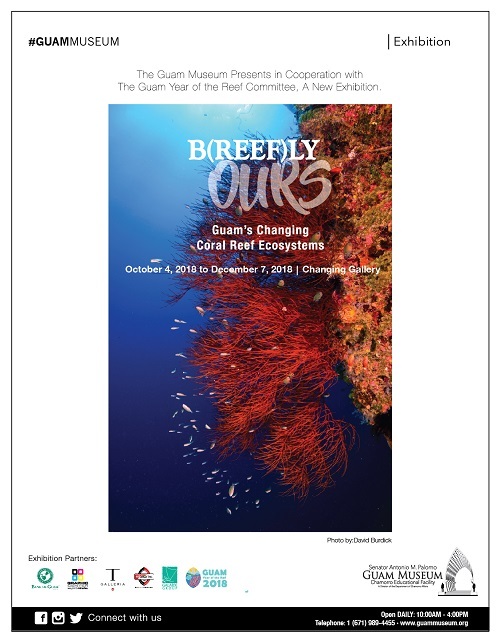 The Guam Museum, in partnership with the Guam Year of the Reef Committee, presents B(reef)ly Ours: Guam's Changing Coral Reef Ecosystems, a limited term exhibit featuring the importance and dynamic nature of our island's coral reefs. 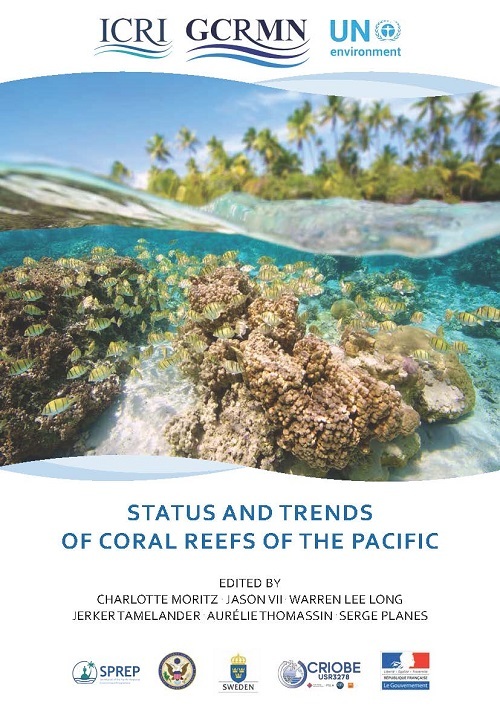 his report focuses on the Pacific Island region, north and south, from the Republic of Palau to the Pitcairn Islands. 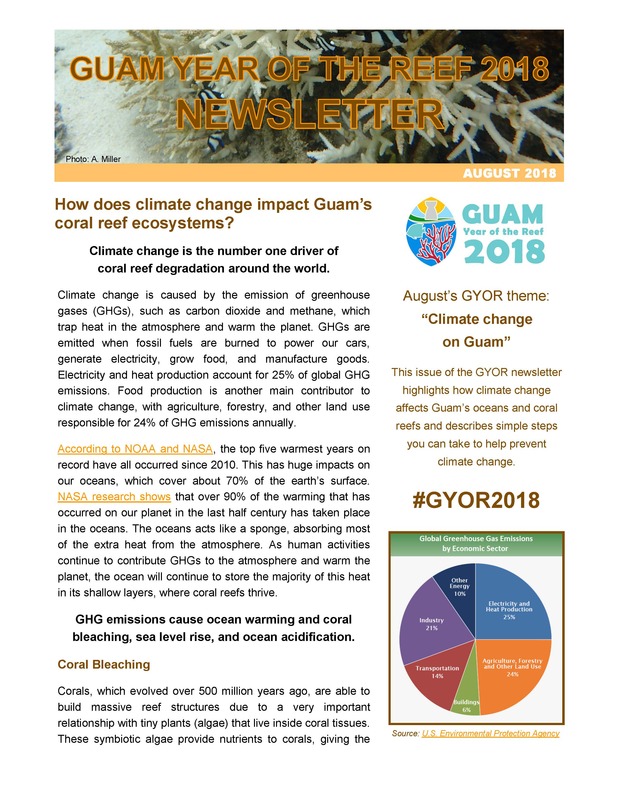 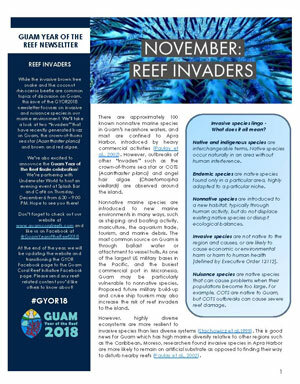 It is the third in a series of reports dedicated to describing the present status and long-term trends of coral reefs, with one report for each biogeographic area.